After going gluten free, dairy free and also avoiding refined sugars, I was feeling great but my coffee was….gross lacking. So after years of playing with butter coffee, nut milks, dairy-free creamers, flavored extracts, blending v. stirring….I’ve finally cracked the code. 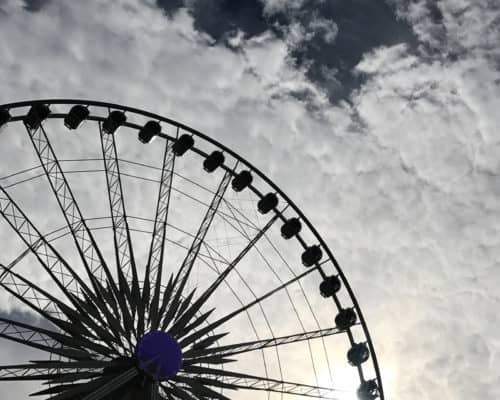 Just because we don’t want to expose our bodies to inflammatory foods like diary and refined sugars doesn’t mean we should suffer through the joys of life. Black coffee is for the birds…actually the birds probably wouldn’t even touch it either. (No offense to all you black coffee drinkers out there, I love ya!) This post is dedicated to my friends who want a dairy-free coffee that tastes just as good as a frothy milk latte without compromising on ingredients. This is my Phat Fat Coffee recipe. I’m giving you the basic skeleton recipe that works great on its own. And then I have a list of add-ons that you can take or leave depending on your taste/preferences. Hold on to your bootstraps and your mug because this coffee will rock your world. Add all ingredients to your blender and blend for 30 seconds to 1 minute. 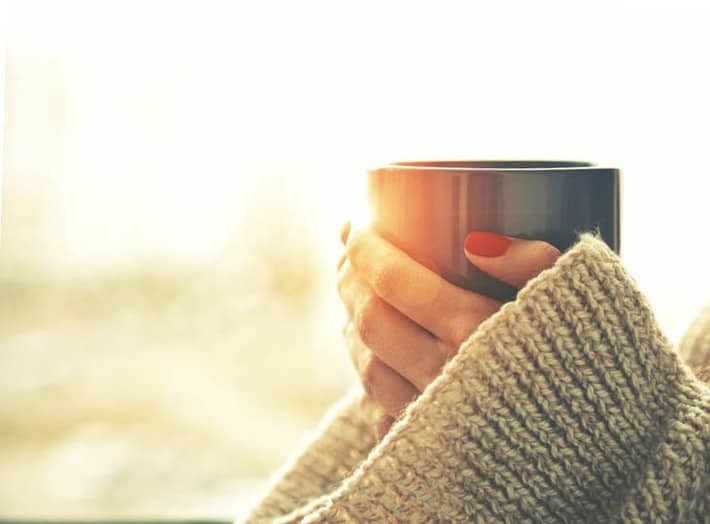 Ideally a glass blender is preferred over plastic which will keep any of the plastics from leaching into your hot beverage. Also make sure to crack the lid so your blender doesn’t create a vacuum or explode. This is when the magic happens (this is a video from my Instagram stories!) Blending your black coffee with coconut oil turns it from a flat dark brown liquid to a light caramel-colored frothy delight. No joke. + You are only blending the coffee for less than a minute so it still remains piping. + Adding coconut oil has totally starved off the jitters. Maybe because it’s adding calories, maybe because it slows caffeine absorption…I don’t know but what I do know is I don’t get the jitters drinking My Phat Fat. + I usually don’t get as hungry when I start my day with this blend. – Way more dishes than necessary. – More expensive especially with all the yummy add-ons. You can play with adding one or all of these. Heck, go crazy and experiment with others too. There are so many options out there! These are my faves and I usually go with all of them because I’m extra like that. Add these to the blender before you press start! 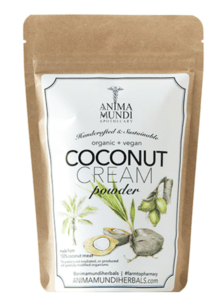 Anima Mundi Coconut Cream Powder: Say hello to your new best friend. Finally a clean creamer that works! 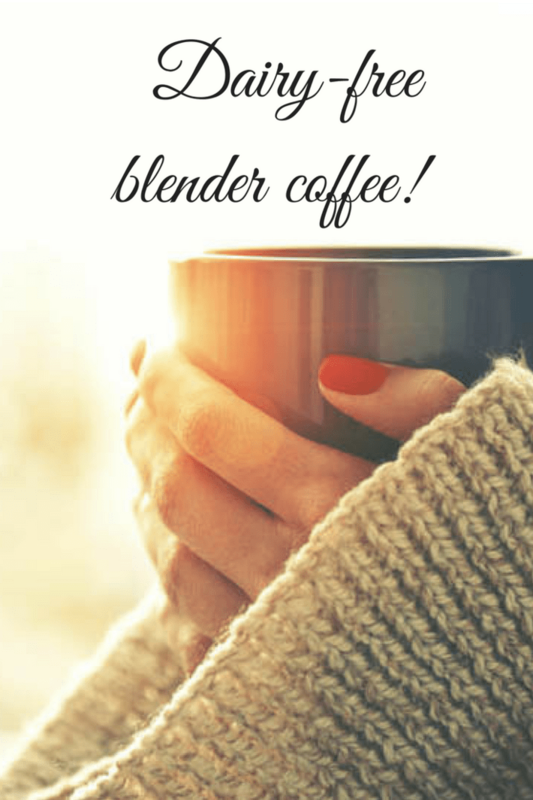 Even if you aren’t blending your coffee this will turn your brew to a beautiful cream color. I am officially putting in my request for travel packs! 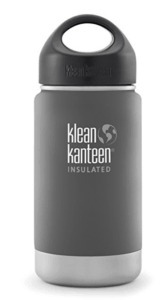 It fully dissolves with a few stirs, has a mild coconut flavor and is super CLEAN. Made with only one ingredient: 100% organic coconut meat. I just finished my second bag. Get your creamer on! This is great in smoothies too. Pick this up at Beauty Heroes. Shop here. 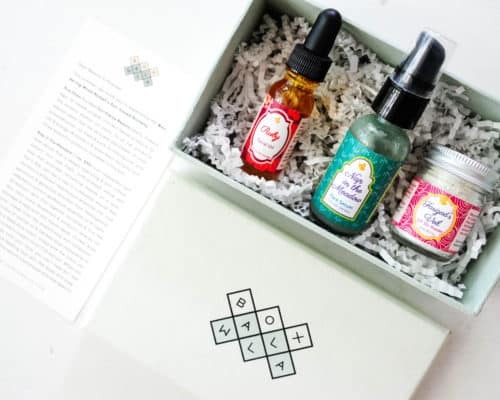 Sun Potions’s Ashwaganda: Don’t let the name scare you. 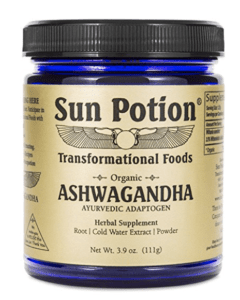 This is a certified organic anti-oxidant rich, powdered ashwaganda root extract. In Ayurvedic medicine it’s used to support the immune system, relieve stress, balance hormones and harmonize mind, body and spirit. Now, I don’t know about all that but I need all the balance so it can’t hurt! Plus I love the spiciness it adds. Serving size is 1/2 teaspoon with a total of 55 servings for the jar. Shop it here. 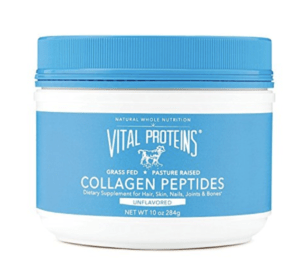 Vital Proteins Pasture Raised, Grass-fed, Collagen Peptides: I ended up getting my hands on a lot of samples of this over the past year and then I found myself buying it when it went on sale at Whole Foods…and then I started buying it when it was full price so fair to say I think that means share time. I’ve mentioned before that I have Celiac- I take this solely to help with my digestion. Although my equation for optional health runs long and complex, I think I’ve noticed that this collagen helps improve my digestion. Plus it claims to strengthen hair, nails, bone and joint health too so I’ll take it. 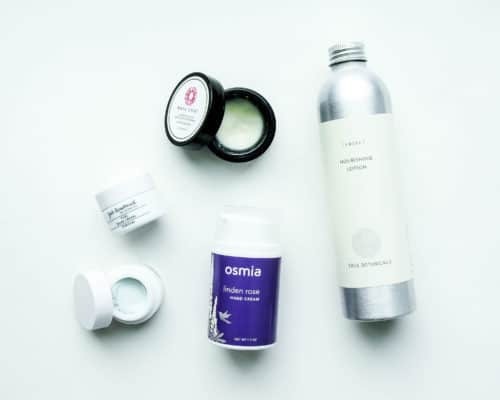 These come in individual travel packs too. 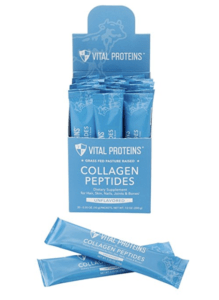 Shop Vital Proteins here. 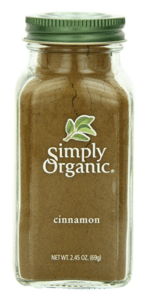 Organic Cinnamon: Besides tasting warm and cozy, cinnamon is like a miracle spice. In addition to being antioxidant rich, anti-inflammatory, antibiotic, antimicrobial, anticancer, lipid-lowering and cardiovascular-disease-lowering, cinnamon has also been reported to have activities agains neurological disorders such as Parkinson’s’ and Alzheimers (source). Yeah, throw a dash of that in! Homemade Vanilla: Guys. My world turned upside-down when my mom gave me a bottle of homemade vanilla for Christmas. Don’t be fooled by that clear vanilla you buy in the stores (like I was). Real vanilla extract is vanilla beans sitting in an alcohol like vodka, bourbon or rye for weeks and weeks – that’s it! And the longer it sits the better it gets. 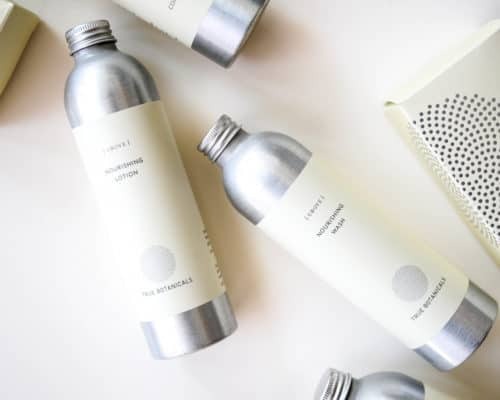 A lot of store bought organic vanilla extracts are formulated with water, “alcohol” (which is probably a corn alcohol…totally fine but cheap, lacking in flavor and refinement) and flavored with oils or extracts. Not to mention non-organics that use artificial flavors and health compromising chemicals. A far cry from the real thing! Anyways, I can honestly say I never tasted vanilla extract until I tasted the one my mom made for me. And it’s super easy to make…it just takes waiting 8 weeks for it to infuse. This recipe is similar if not exact to the one my mom made. 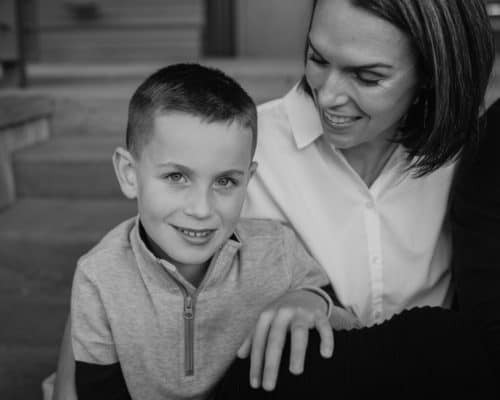 (Of course, my mom used “some book” and can’t remember “her name” – sorry guys! But this one is pretty much it if not IT). My mom used bourbon which is delicious, complex and drool-worthy but bourbon is fermented from wheat so if you are sensitive to wheat like me, go with vodka. I’m also thinking of adding this My Community medicinal mushroom powder for an immunity boost + a solid dose of enzymes, antioxidants and prebiotics. One more thing you need…a cute to-go cup! 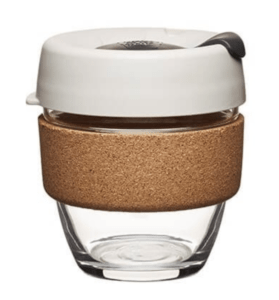 Keep Cup – a cute glass cup with a ring of cork so your don’t burn your hand off. 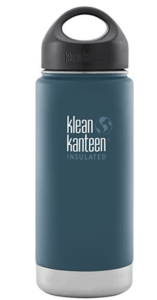 Klean Kanteen’s insulated tumbler – Comes in 12, 16 and 20 oz sizes. Keeps my coffee hot for days. I like the 12 oz and 16 oz best. This dairy-free coffee offers no comprises in taste or satisfaction. 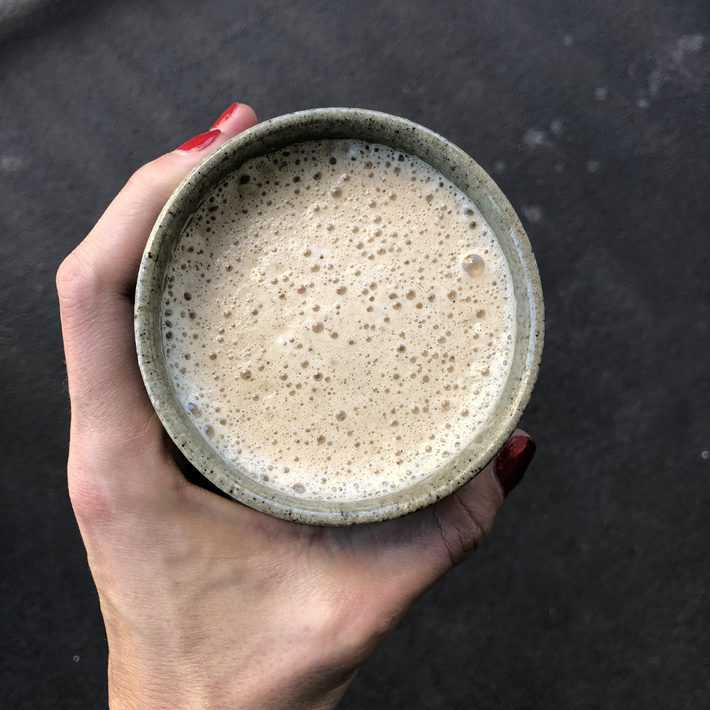 Looking for a tasty dairy-free creamer? This blended coffee is it! Start with the base recipe of coffee, maple syrup and coconut oil. Blend and drink or add any additional add-ons to the base recipe then blend and drink! Disclaimer: This post contains affiliate links. Also, I’m not a nutritionist or a doctor. 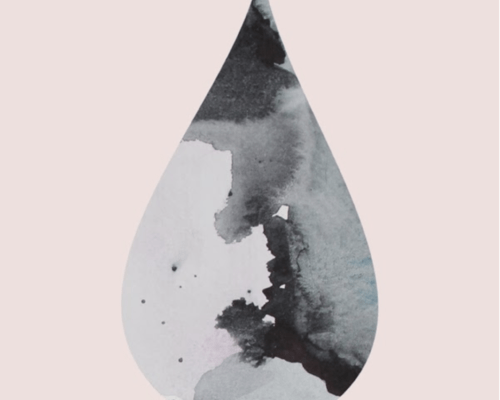 I’m a girl who avoids inflammatory foods and knows what tastes good – Cheers!